“Shut up. I say shut up.. shut up I say..shut up..shut up... I will get you thrown out of the court. Why are you shouting? Is this a court or a fish market? There has to be some dignity of the court. This is the problem. People who do not conduct themselves in the courtroom want to become senior lawyers” : CJI T S THAKUR, TO A LAWYER WHO RAISED HIS VOICE TOO HIGH DURING THE HEARING. Temperatures are rising in the Supreme Court over the contentious lawyers’ seniority issue as was witnessed Friday afternoon. As all hell broke lose with one of the lawyers shouting at his top of his voice while damning the present system “full of bias and hanky panky” and seemed to be giving a speech, the Chief Justice lost his cool. 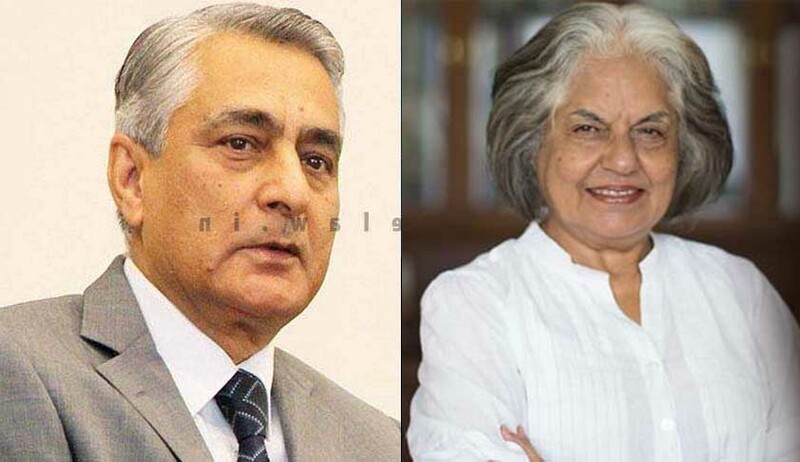 Questioning the criteria suggested by Jaising that is to give marks to candidates and when she spoke about the practice of lobbying, the court asked “did you lobby for your gown ? The court gave the parties one week’s time to file their written submissions and suggestions to make the process of designation more transparent.